THE EDDIE ARGOS RESOURCE: Hey! Motherfuckers! A HARDBACK lyric and essay book. Hey! Motherfuckers! A HARDBACK lyric and essay book. Hello, I recently crowd funded a book called 'Any Questions?' 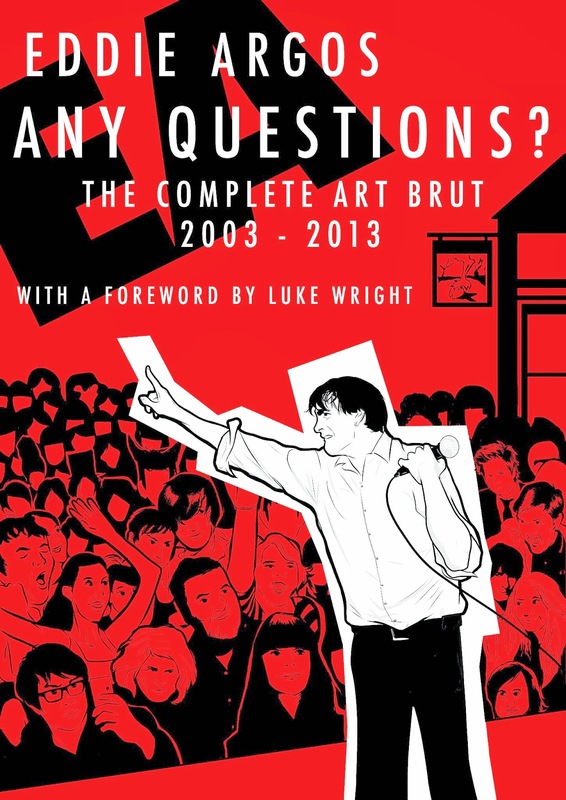 the book is an annotated collection of all the lyrics I've written for Art Brut, plus an essay on each album, (and an essay about the B-sides) plus a few illustrations drawn on to the original pieces of paper I wrote the lyrics on. HERE is what I wrote about the book when I launched it. It went really well, THANK YOU. It went so well, in fact, that I have upgraded the book from Paperback to a very nice matte HARDCOVER book, the sort of book that a motherfucking academic, like myself, deserves. The cover has changed slightly too, it now looks like this. Everybody that has already bought a book, your version will now be a hardcover. All the first edition copies of the book will now be a hardcover, limited to 500 copies signed and numbered. Because of the personal nature of Art Brut lyrics, as a band we tend to attract a lot of people who are very similar to me, one of my defining characteristics is that I am very disorganised. This explains why I've had quite a few emails from people who missed the opportunity to buy the book while I was crowd funding it - well this and the fact I was crowd funding over the Christmas period when everybody is busy. For those disorganised people, and also for the people who are more interested now its a hardback book, I've extended the offer I used over the crowd funding for a few more weeks. Here are the two versions of the book you can buy. The book will ship out at the end of January, postage is included in the price to anywhere in the world. I will email all the people who bought a book wanting a song written into it next week - to find out which song it is they want. I may be using this information to compile the most crowd friendly set list for Art Brut ever. So far there have been a lot of request for Demon's Out you bunch of misanthropes. Wow! Great! This hardcover book will fit in my collection near Perfect Circle (R.E.M. 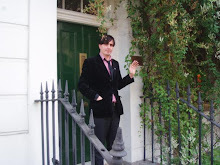 biography) and Life, (Keith Richard's biography)!